The end of the 1920s, 1929, saw a decent crop of Lincoln Wheat Penny coins, with mintage figures more closely aligned to the yields of the late 1910s and 1920, when between a quarter billion and a half billion Lincoln Pennies were being minted every year. 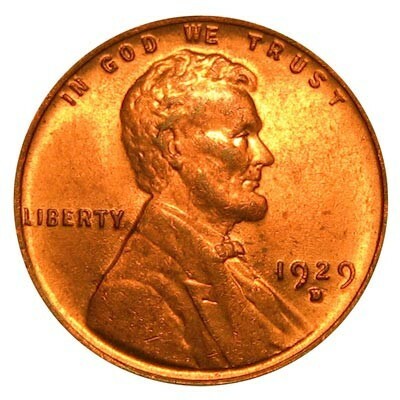 With around 275 million Lincoln Pennies minted in 1929, with each mint well represented in the final number, there is no doubt that Lincoln Cents from that year are plentiful. What’s more, there is a healthy supply of 1929 Lincoln Wheat Penny coins in just about all grades, which contributes to the affordability of this coin for collectors assembling a date and mintmark set in just about any condition. 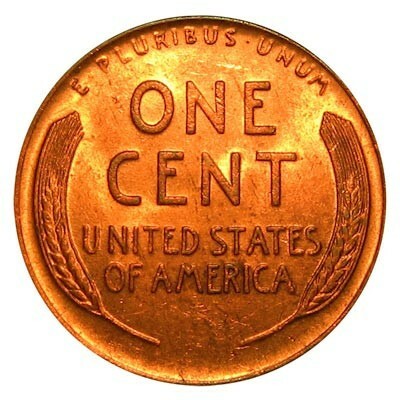 It is possible to buy all three of the 1929 Penny varieties – Philadelphia Mint (no mintmark), Denver Mint (D), and San Francisco Mint (S) – for $1 total, if the coins in the lowest circulated grades. Of course, not all coin collectors want these coins in highly worn condition, and for them there are bargains to be had, too. A 1929 Philadelphia Lincoln Cent can be bought for around $15 in Mint State 63 on the Sheldon Coin Grading Scale, while a 1929-D or 1929-S will each set you back $35 to $45 in the same grade. 1920s Pennies with brilliant, crisp surfaces and no spotting are pretty difficult to find, so be sure to do a bit of searching and check around for uncirculated Pennies that have high-quality surfaces – don’t settle! I have a 1916, 1917, 1919 and 1929....do you know the rough estimate of what they are worth? I have what looks like a 1929 wheatback on a dime Planchet, but it is all copper, no silver. Haven't been able too find an example or value. I want to make sure it's worth grading. Great fun ? picking lol!!!! I have a 1929 D wheat penny in almost uncirculated condition I found it amongst my grandfathers possessions in what appears to be a a cushioned box for a ring he died early at the age of 26-28 around the early 1950's.